A Hatchett Report Investigation . . . Astonishing futuristic imagery of the human race and a planet just beginning to right itself. A terrifying vision of what can go wrong in a world without transparency. It’s 2036, an age of global water conflict and controlled media. A blacklisted journalist finds herself at a perilous crossroads between her explosive past and the future of humanity. Truby Goodman is relocated to Americas Sector N3-24F, the defunct Old Faithful Inn in Wyoming, isolated with four companions she knows little about. Once one of Interpol’s most wanted, she is now bound by a plea agreement with the government. Goodman is haunted by the memories of a child she loves that is one of three Alpha Generation geniuses chosen to design a solution to end the international water crisis. The Global Security Council’s WREN project soon becomes plagued by off-gridders who oppose it and a rogue darknet underground news outlet. When WREN is compromised during an opening ceremony live broadcast, the world is suddenly plunged into a global state of emergency. Questioning the authenticity of media reports, Goodman risks revealing her true identity as she races to expose the greatest coup ever attempted. Confronting the impossible in search of redemption, one journalist will dare to rewrite human history—centuries in the making. 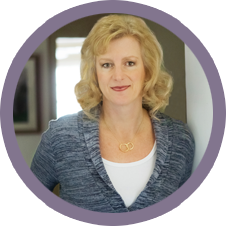 Horner writes with unapologetic clarity as she dares you to explore the fluidity of identity, truth, and the resilience of the human mind, body, and spirit. Who is Truby Goodman? Truby personifies the schism between two worlds that is currently playing out on the world stage. In reality, it’s the human existential dilemma when you lose sight of your inner compass. The greater the degree of darkness, the greater the suffering not only for the individual but for humanity collectively. Conversely, as consciousness expands and you let go of self-limiting concepts and ideas, suddenly you see and, more importantly, are open to unlimited possibility. This is the realm of miracles. What is the schism? It will be revealed as the series progresses. Storyline and subplots richly layered, some readers will easily grasp the metaphoric meanings conveyed through Truby’s personal challenges that go beyond skin deep to the very core of her being as she wrestles with an identity veiled in subterfuge. Other readers will learn to navigate our changing world along with Truby as the novel series progresses. 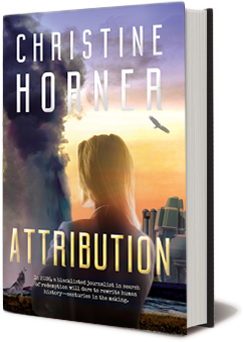 For those simply interested in good storytelling, Attribution is a dramatic next-generation international mystery that will keep you reading into the night, hungry for more.